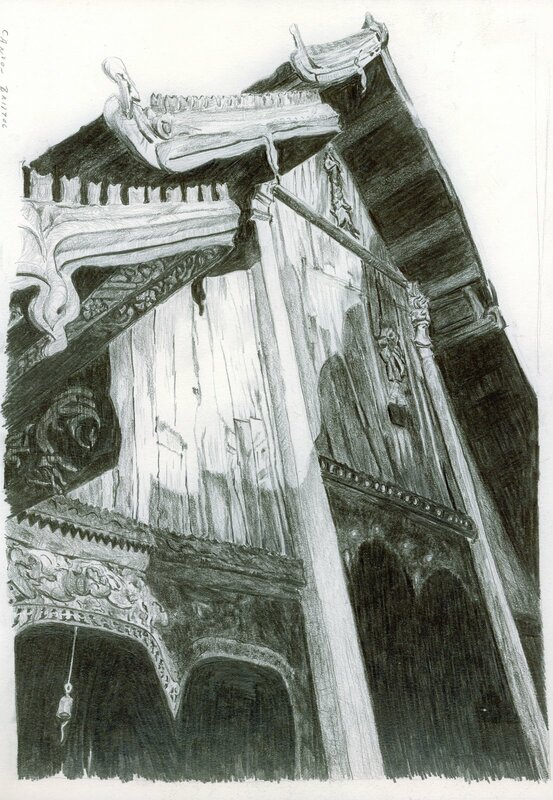 8 1/2″ x 11″ graphite drawing on Canson paper of a temple in Thailand. After a photograph posted for reference on http://www.wetcanvas.com/ by member “Ai”. Her art can be seen at http://aiarts.blogspot.com/. Beautiful drawing. I visited Thailand, to teach English for a couple of months, a few years ago. The architecture there is amazing. Your drawing shows it off well. Excellent publish. I’m thguat a little something tougher on completely different weblogs everyday. It’ll at all times be stimulating to study material content from other writers and observe somewhat of a single issue from their store. Id desire to make utilization of some with all the content material on my weblog whether or not or not you dont thoughts. Naturally Sick offer you a hyperlink with your internet blog site. Many thanks for sharing.